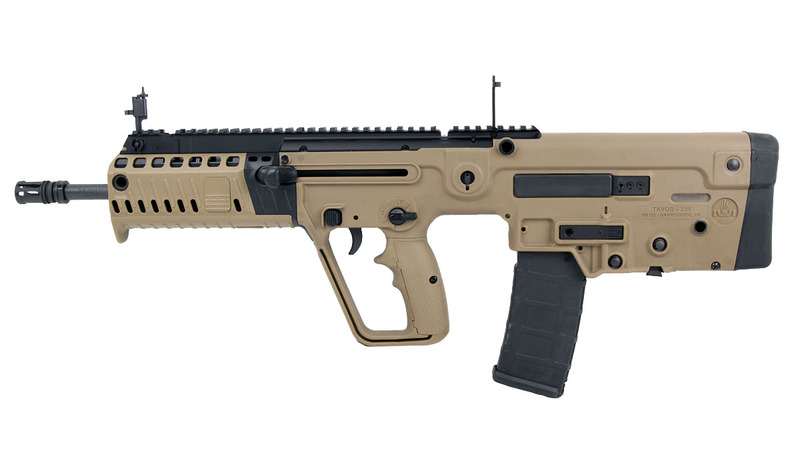 Utilizing key features from the TAVOR TAR-21 bullpup rifles, the X95 is the next generation bullpup. An updated trigger pack features a 5-6lb pull, repositioning of the ambidextrous magazine release to the AR15 style, a forearm with picatinny rails at the 3, 6, and 9 o' clock positions with removable rail covers, relocation of the charging handle closer to the user's center mass, modular pistol grip that can be swapped out to a standard pistol grip with traditional trigger guard and a smaller, lower profile bolt release button. 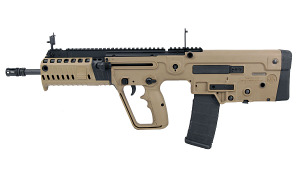 Optional 9mm and .300 blackout conversions will be available in the future. Front and rear folding sights. Comes with one 30RD magazine.